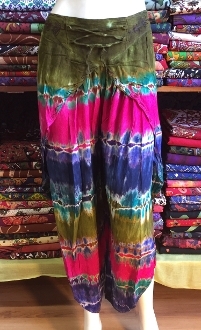 Tie Dyed Rayon , super light and comfortable , "fake" wrap pants. Elastic waist. Examples of color schemes available pictured. Please put specific requests in the comments when you order.